The Twin in Berlin: My German Was Just So Fluent And Pouring Out Of My Mouth. IT WAS AWESOME. My German Was Just So Fluent And Pouring Out Of My Mouth. IT WAS AWESOME. TODAY I HAVE BEEN 16 MONTHS ON THE MISSION!!!!! It's crazy to think that the whole year of 2015 I have been in Germany. this year has gone by sooo fast it's crazy! Christmas in Cottbus was hands down amazing. THIS WARD is so nice, I feel like I have never received so many presents in my life. True, most of it was chocolate, BUT STILL. the ward members here are truly wonderful people. So there are three days of Christmas, we had eating appoints on Thursday, Friday, Saturday, and Sunday. Truly, I ate like a queen this week. on Heilig Abend, or Christmas eve, we as a ward watched the first presidency devotional, then we went to Familie Schmidt for dinner. We had Ofenkäse with bread and veggies. SO GOOD. On Christmas we ate at our ward mission leader's house. traditional German Christmas with Tutan, rotkohl, und Klöße. It was way good and really fun. On the 26th, aka SECOND CHRISTMAS in Germany, (another reason why this place is the best) we ate at Family Schult. again with rotkohl, mini klöße, and potatoes. with Geese! That was really good. ill try to send pictures of it all. 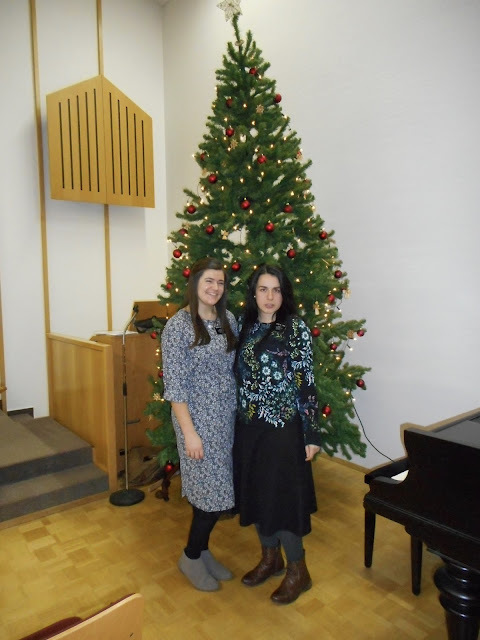 This week was just so fun with singing Christmas songs, spending time with the angelic members, here, talking with you, and eating the heaven on earth that is German food. I felt such a happy spirit in my heart and was so strengthened. I really enjoyed Elder Bednar's talk in the Christmas devotional, as 3 Nephi 1:21 is tooootallly one of my favorite Christmas scriptures. Thanks for the presents, too!! It was all perfect. the little book from president Monson is way cool. Solid quotes. The socks too are soooo soft and were indeed needed. I love walking around with my fuzzy socks and meine Hausschuhe on. Soooo yesterday we finally had some good time to go by on people with the craziness of Christmas being over. we were able to visit a family from Macedonia with whom we had lost contact. The wife had her baby, and they asked me to say a little prayer for the baby, so precious!! THEN we tried going by on Ruphine, the cute little lady from Camaroon, and she flung the door open and gave me the biggest hug. Haha we had lost contact with her too, as she got a new phone. Yaaay miracles in Cottbus!! Ruphine told us that she MUST come to church this Sunday, haha i love her so much!! So passionate with her faith. Today we went to our appnt with the lady we found last week, and TURNS OUT she doesn't even live there...I think she gave us the address of a friend, because the name was doch there!! But this girl had no idea about anything. Naja that was cool BECAUSE we went dooring in the neighboring street, and this one German lady let us in after talking a bit about what we do. We sat down in her living room, and she asked questions about us and our beliefs. She said she wouldn’t join the church, but thought it was important to be "informed." I LOVE when people ask us what's "different" about our church. I was just laying the restoration down like there was no tomorrow. 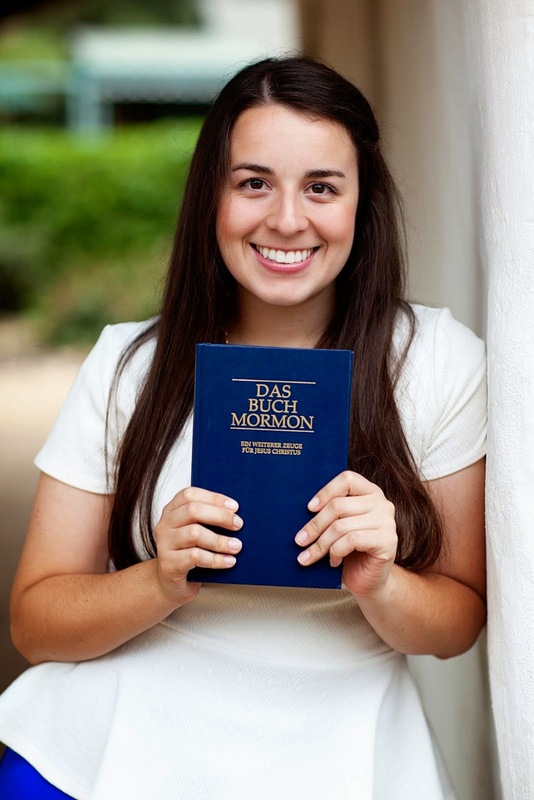 AND LET ME TELL YOU I don't ever think I have ever spoken such good German ON MY ENTIRE MISSION. Seriously as I was listening and talking my German was just so fluent and pouring out of my mouth pretty much. IT WAS AWESOME. I felt so guided by the Holy Ghost it was quite a humbling and at the same time exhilerating feeling. Wow I was on cloud nine. I just want to say that I know that Heavenly Father is ALWAYS with us, He sends us help in big and small forms. I testify that the power of Heaven is real! Soo although she said she probably wouldn't join the church, we asked if we could come back to present the lessons, and just see what she thought of the doctrine. She agreed happily. I'm stoked to go back next week! So Sister Jackson is doing well. She is so go with the flow, and always tries her best. German can be frustrating at times, but I am still amazed at how much progress she makes daily. It really feels like a companionship, and not just me doing everything. She is chill and likes to laugh. Pretty sporty too!! Talk about an athlete. I'm glad I can spend my last two transfers with her. I love being here so much. I love Germany, and I love my Savior. I know that this work is important. God is always there for us, and He is waiting for us to come closer to Him. He loves us. God is so good! ps Sister Jackson is cousins with the former Elder Gemperline!! !